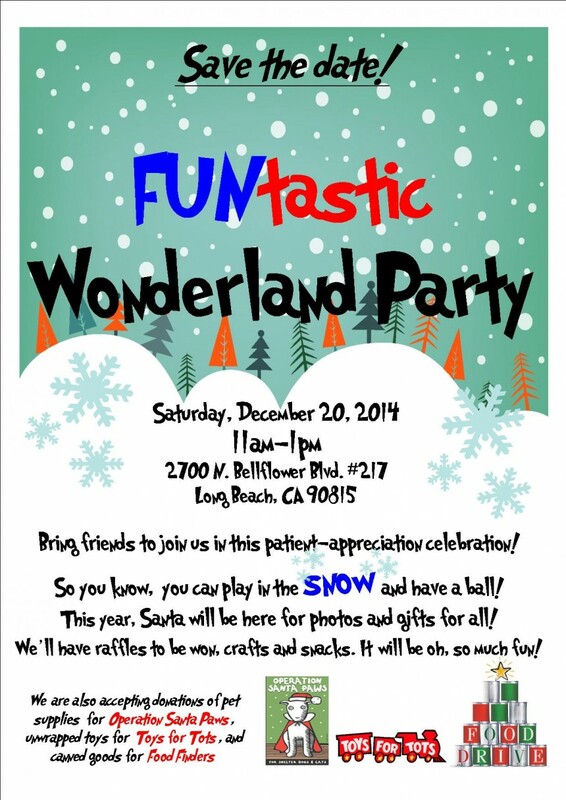 Just in time for the holidays, Funtastic Dental wants to invite you and yours to a winter wonderland party that’s part seasonal celebration, part customer appreciation and all fun! The Funtastic Wonderland Party is planned for December 20, at our North Bellflower Boulevard office. We’ll have crafts, raffles, snacks and even a special appearance by Santa! We’re also taking donations to help make disadvantaged families’ holiday season brighter. Save and share this flier – and we hope to see you in a few weeks!